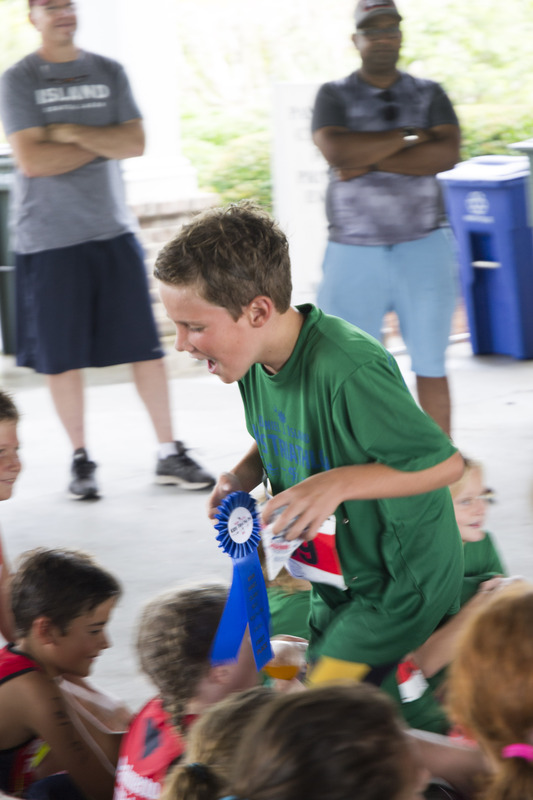 First place 9-10 boys’ finisher Ryder Patterson. 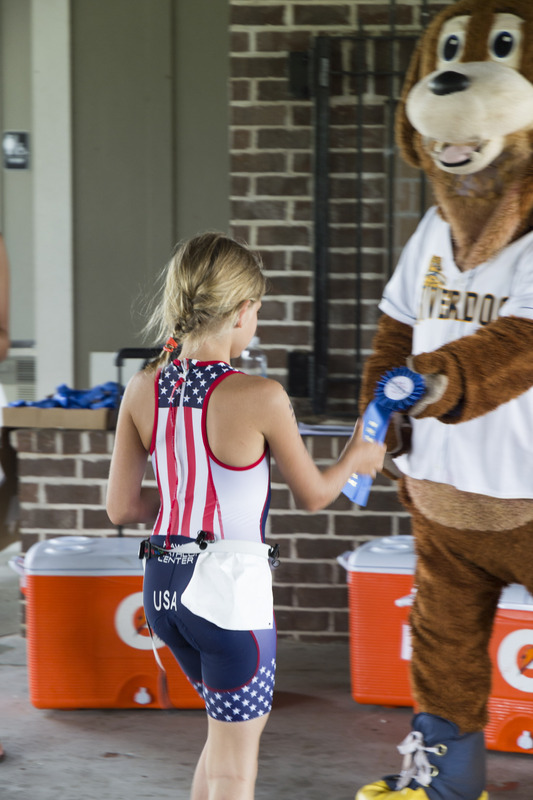 The Charleston Riverdogs mascot gets a handshake from Alaina Harris, the first place winner in the 9-10 girls’ age group. 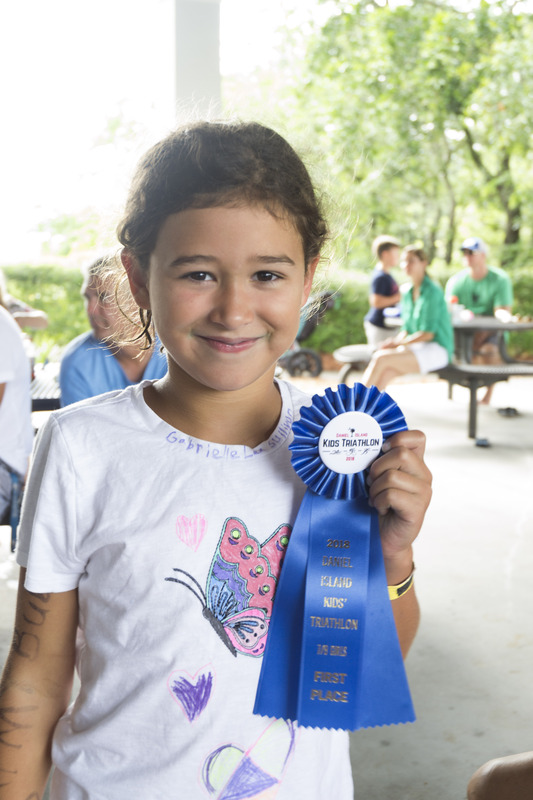 First place winner in the 7-8 girls’ age group – Gabrielle Sullivan. 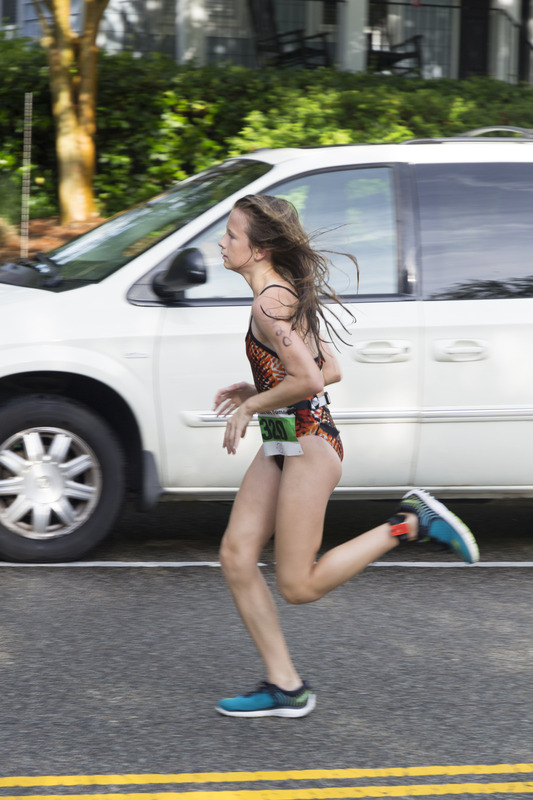 Jill Smiley, first place, 13-14 girls. First place winner Watson Dibona poses with Charles Carper, who finished second. 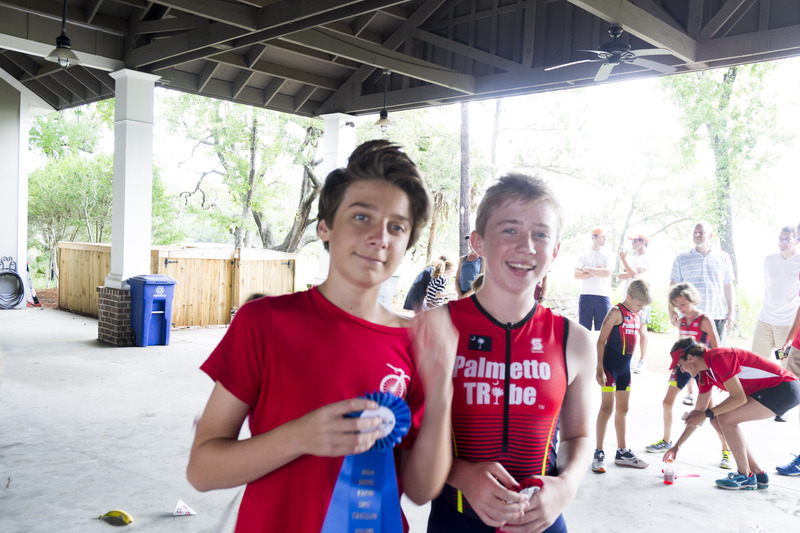 Both competed in the 13-14 boys’ age group. Eleanor McElveen scored third place in the 11-12 girls’ category! 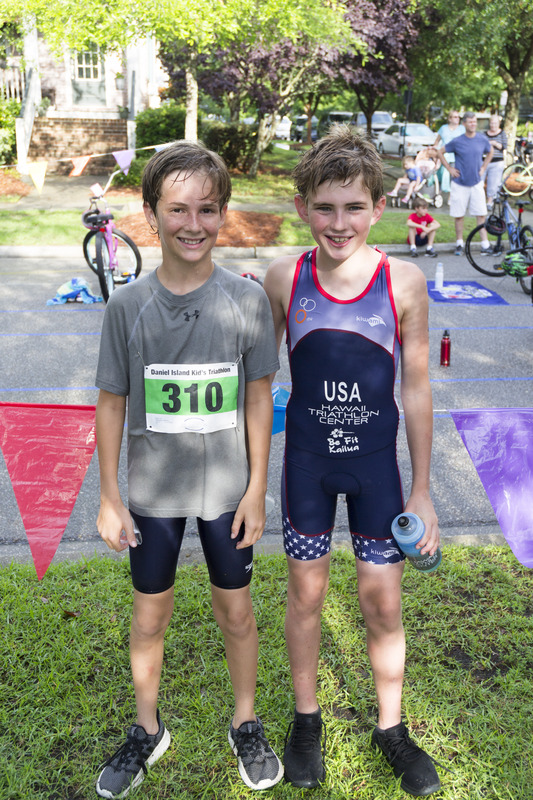 Participants Colin Harris, who placed first in the age 11-12 age group, and Wesley Patterson pose after finishing the race! Josephine May placed first in the 11-12 girls’ category. Winners pose with their medals! 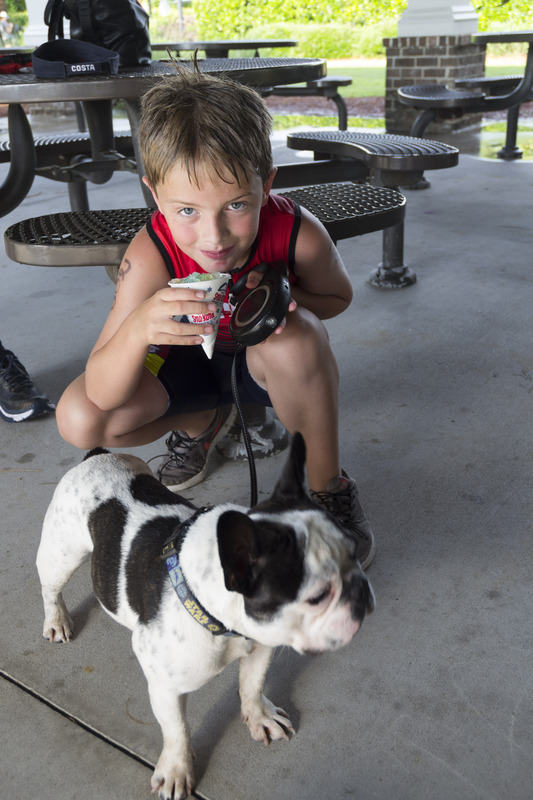 Eli Adams enjoys a post-race snowcone, under the watchful eye of a furry friend! It was a battle by water and land for a group of young fitness enthusiasts on Daniel Island last weekend. 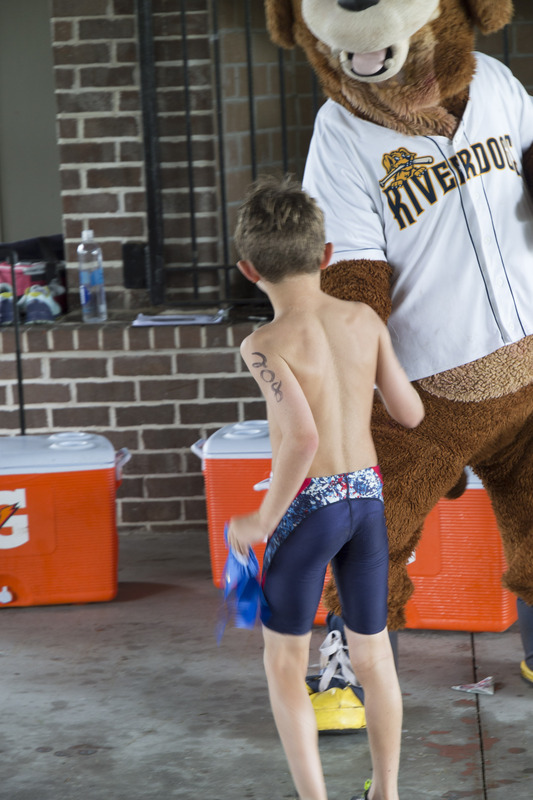 The 13th annual Kids Triathlon brought island youth, ages 7 to 14, together for a little friendly competition on Saturday, June 9. 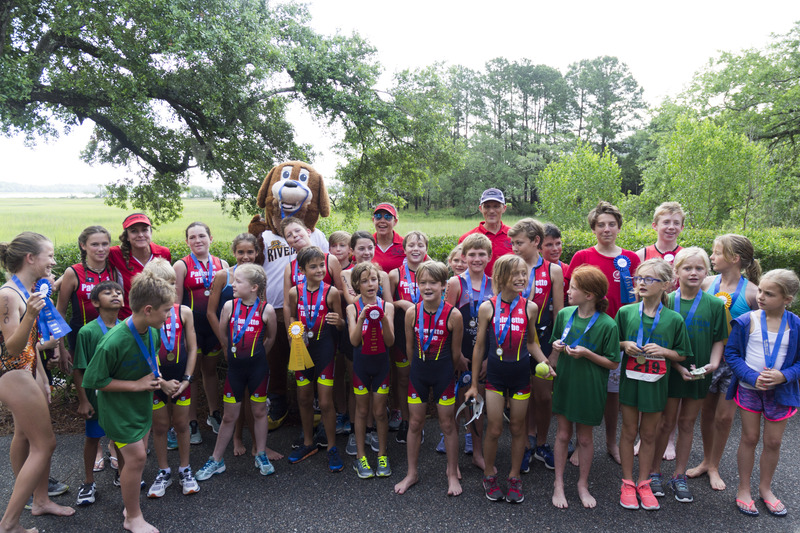 The 7-8 and 9-10 age groups took part in a 100-meter swim at Pierce Park Pool, followed by a 2.4 mile bike ride and a ½ mile run. 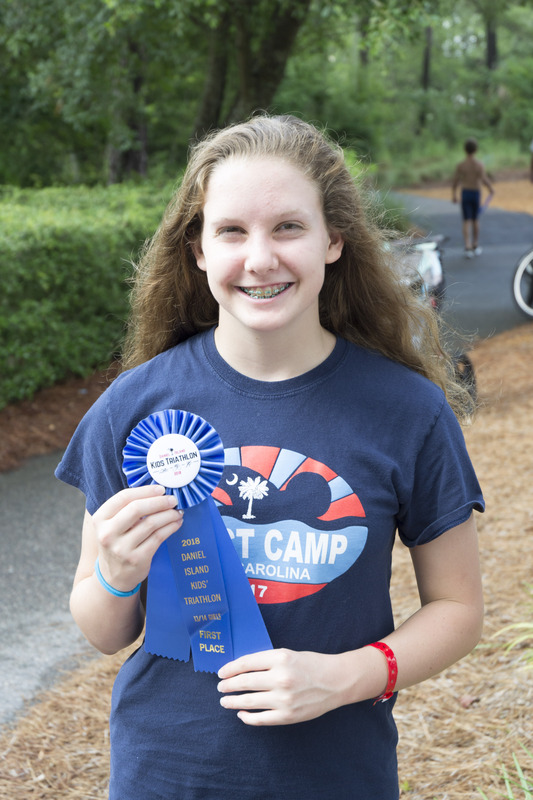 Kids aged 11-12 and 13-14 completed a 200-meter swim, a 5.5 mile bike ride and a one mile run.